Want it by Wednesday 24th April? Order within 2 days, 8 hours, 13 minutes and choose Next Working Day - Kerbside Delivery (Order Must be Placed by 2pm) at checkout. 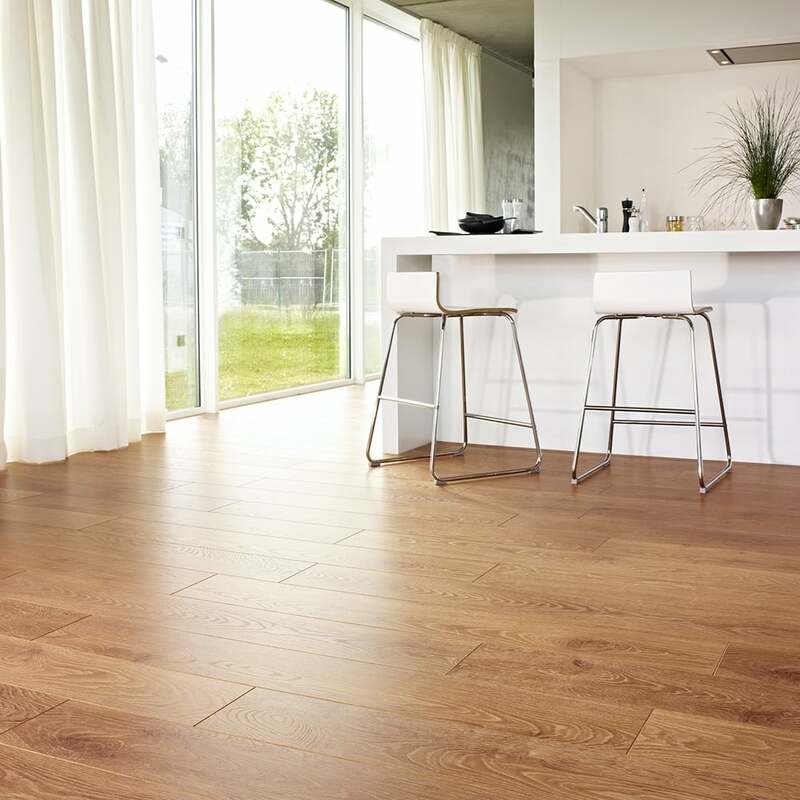 With the advances in laminate flooring, installing your own floor has never been easier! All of the laminate floors sold here at Discount Flooring Depot are manufactured with a ‘clic-fit’ system where each plank effectively clicks securely into place without the need for glue or nails. Premier Select Biscuit Oak is a stunning, clean oak laminate with the natural grain and characteristics of a solid wood. Each décor in this range is 8mm thick with a high AC4 quality rating due to its outstanding wear ability. Each standard length plank measures 190.5mm x 1261mm with a large 2.162m2 pack size. If you still have questions, don’t hesitate to contact us and speak to a member of our dedicated, helpful team! Cant believe the quality and cost. Will be placing our order. Was going to order this from a large trade supplier but they are so much more expensive. Great product, looks great and was simple to install.